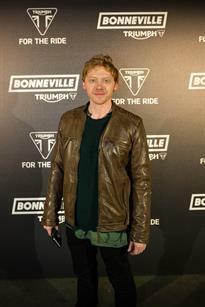 Triumph Motorcycles held an event to launch its new Bonneville Bobber motorcycle last month, facilitated by drp. 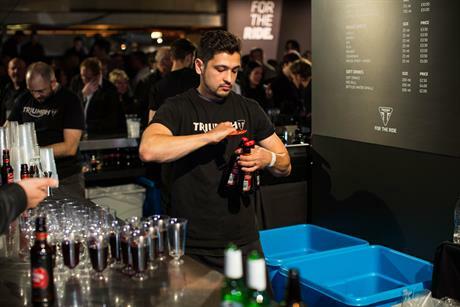 Agency drp recently produced the global launch event of Triumph’s new Bonneville Bobber motorcycle at The Printworks, London. 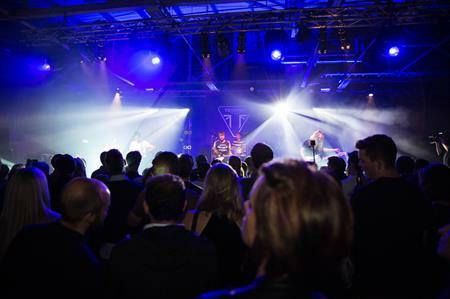 Just over 1,000 people attended, which included dealers, special guests, and celebrities from around the world, such as Rupert Grint, James McVey, Jess Glynne and Made in Chelsea star Spencer Matthews. Taking place on 19 October 2016, the event included a live headline set by NME award-winners, The Vaccines, and support from DJ Harriet Rose. A demonstration of the new model was successfully achieved through the means of an indoor Bobber drag race on a track length of 60 metres. ‘Team Triumph’, which included racing legends such as seven-times World Champion Carl Fogarty MBE and three-times world champion Freddie Spencer, competed against an international team of motorcycle journalists. Drp completed the end-to-end event management, production, creative, tech, and video solutions for the event, with digital sign-in solutions, staging, and execution of the drag racing, as well as quirky photo opportunities with the Bonneville. On and post-launch day, all of Triumph’s social channels gained a total of 61,965,014 in reach from 9th to 25th October. This came as a direct result of the product launch event at The Printworks. 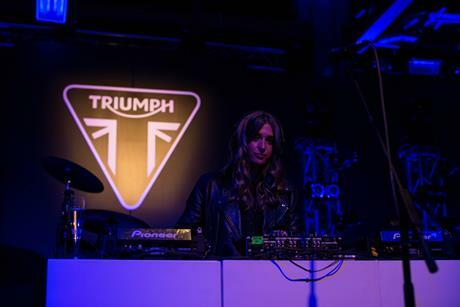 Speaking about the event, Paul Stroud, chief commercial officer at Triumph Motorcycles, said: "Triumph’s new Bonneville Bobber is an incredible new motorcycle with breath-taking poise, presence, and peerless authenticity, so it was only right that we gave it an equally incredible launch before the bike made its European debut at EICMA show in Milan." Meanwhile, head of project management at drp, Nick Ruffles, added: "This was an extremely exciting event for drp with many eclectic elements from music to motorbikes, racing and striking staging, for the artists and the main attraction – the bike itself. The team worked extremely hard and we are ecstatic with the end result."